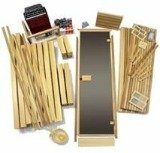 If you are weighing the choices between 4-person saunas, you’ll find many roomy models for sale which come ready to assemble with pre-constructed sides, base, and top that all snap together easily. Prices range dramatically but as the saying goes, you get what you pay for. Check the dimensions on these home infrared saunas listed below and see if one won’t fit perfectly on your covered patio, or indoors in your exercise room or basement. 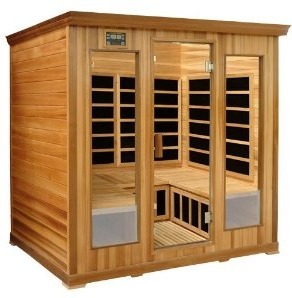 The WaterStar-Corner-Infrared-Sauna has an MSRP of $4300 yet has a sale price of under $1500! In this Hemlock Fir cabinet you’ll find double wall construction, full glass door and windows, 8 Pure Ceramic Far Infrared heaters, plus an oxygen ionizer, magazine rack and towel rack. WaterStar offers a lifetime warranty on the control panel, circuit board, heaters and wood. 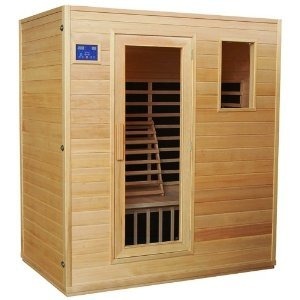 (Assembled Dimensions/Weight: 59" Back Sides x 23.5" Front x 49" Front x 75" Height; 245 lbs) WaterStar 4-person saunas are mass-produced in China and while there haven’t been any reported problems with them, the company has undertaken an unusual practice of issuing warnings about “fake” WaterStar saunas on the market (also from China no less!) and encourages customers to buy from only authorized dealers. 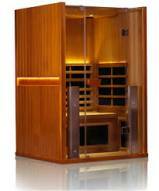 TheraSauna sells very high-end infrared saunas such as the one above for $5000 as well as a Premier Corner Infrared Sauna for $7000 — their most expensive sauna. This 4-person unit is big (62" x 62" x 35 1/2"x 37 1/2 x 74"H) but extremely comfortable. These saunas cost so much more because of their superior heating elements, called TheraMitters, and they use twice as many elements in their units as the competition does. Each ceramic TheraMitter weighs 1/2 pound, and all together, their 4-person saunas come with a total of 6 pounds of 100% ceramic; they use no rods or plates such as you’ll find in other infrared heaters. As a result, TheraSauna can boast of their emitters delivering 96% thermal efficiency — far greater than any competitor’s heater. 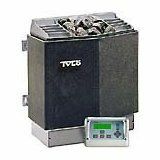 Some of the lesser priced units have suspect workmanship and you won’t find much information about them on the web. 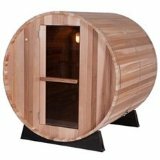 To be sure, there are some cheap infrared knock-off products that are arriving in North America from China, so be sure to do your own investigation on any dealer before purchasing one of these 4-person saunas.